With the Westinghouse 18-foot brushed nickel finish swag light kit, you can easily install an electrical fixture in your home without having to hire a professional. The kit contains brushed nickel finish components that will complement most decors. 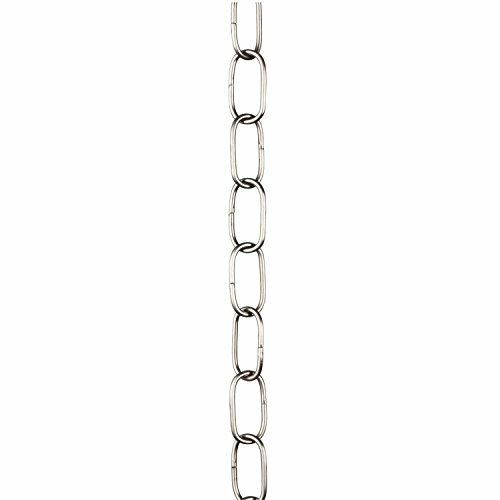 The generous 18-foot chain and 20-foot cord set make it easy to position and adjust your fixture. This kit contains everything required for installation, including chain, cord, hooks, and complete instructions. It supports fixtures up to 35 pounds, and you can install fixtures on either plaster or a wood beam. Westinghouse is a global brand with a simple philosophy: make life easier for everyone who buys its products. 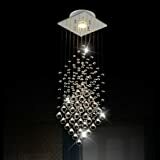 The Company offers ceiling fans, lighting fixtures, lighting hardware, lighting accessories, and light bulbs for both consumer and commercial applications. Westinghouse products are designed for exceptional quality, reliability, and innovation. Product reference number 70126.